1 PT. 6oz fancy dark brown bottle. Batch 1. Served in a tall stein. Pours a dark tannish amber color with a fast-rising, and fast-fading beige head. Sniff fast to enjoy the peaty, smoke smell while the bubbly head is active. Smells of sweet malt, molasses, resinous and tea-like hops roll forward. A light whiff of bourbon and snuffed campfire lingers throughout. The flavors are all familiar, yet unique in their combination. It's malty, hoppy, smoky, nutty, malty (again), peaty, sweet and a bit boozy. What's unusual is, that despite its ever-present smokiness, all of the other flavors emerge independently and are easily noticed. It may be a tad overly brown sugar sweet, but that's the nature of a Doppelbock. On the other hand, it's a bit hoppy for a Rauch. 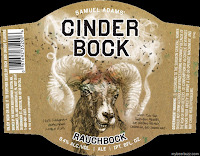 I can live with all that, being that Cinder Bock is a style unto itself. It has been a lot of fun drinking and thinking about all the wonderful beers profiled in Beer style of the week for the past 51 Sundays. As a result of the column, many people have asked not only what my very favorite beer style is, but what my favorite beer is. The simplified answer to both questions has always been, depends. Depends on the weather, the season, the mood I’m in, the company I keep, the spontaneous urge to try something different, the meal or snack in front of me, or just what is being offered me at the moment. That said, there are some beers I come back to time after time. They are dependable beers. I look forward to their company. I miss them when they’re out of season. Some foods must be paired with certain beers. You salivate just thinking about that special occasion (must wipe the keyboard now). The color is brassy amber with a fast-fading white head. Thin wisps of webby lacing cling to the glass. 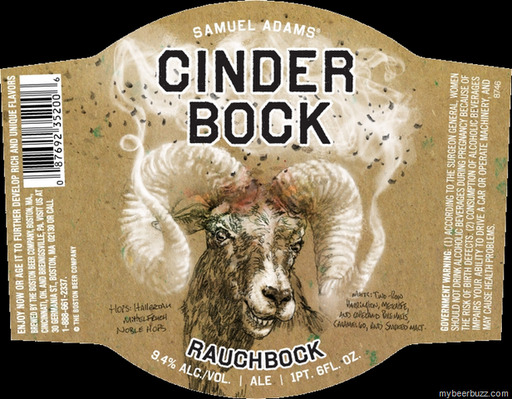 It's an unusual bock in that the flavor profiles remain distinct and apart, even as it warms. This is definitely one of the better beer values ($6.50 a 16 oz.sixer, no less) in the New England area. It pours a shiny brassy golden color with a frothy snow-covered head. A good amount of sticky lacing trims the glass. A very fragrant smell of flowery and citrus hops rises from the glass. A light aroma of fresh baked bread is in the background. A sweet malty smell lingers throughout. Not as hoppy as I had prepared my taste-buds for, but plenty of hop tastes to ponder. There's citrusy and metallic, and floral and resinous. And a touch of leather and tobacco. My oh my, this is good! 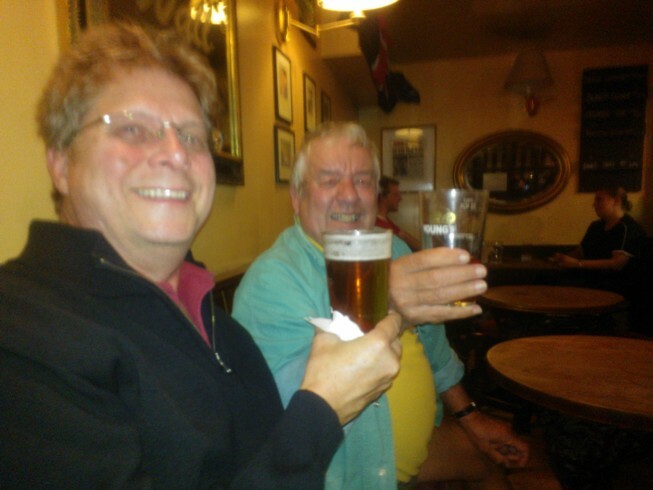 A nice sweet, doughy malty backbone keeps the hoppiness in Czech. It's difficult to have just one of these babies. Very well done! 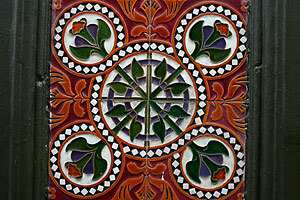 While the body is light in color, it has some depth. As the spritzy carbonation fades, a sweet and rounded caramel sweetness emerges providing a slick and refreshing, gulpable brew. Lots of flavors for a fairly small beer! The flavors represent the style very nicely, with the exception of the hop profile being the dominant taste, though it works extremely well for this particular farmhouse. Edgy citrus peel and resinous hoppy bitterness are tempered with a lightly sweet caramel malt. A faint metallic tang inches through in the background. Tastes of a crusty baguette come to mind. 12oz brown bottle. No freshness date. Bottle code 0.223 (?) I felt compelled to include a representative from Rhode Island as it has been unrepresented in this Beer Style of the week series. The flavors are very balanced. You get the pleasure of seeking the tastes rather than them finding you. Mellow tastes of fresh doughy pumpkin bread, blend with mild tea and lemon with honey flavors. The spiciness is in check. A little peppery nutmeg, a dose of tart citrus, and then a clean finish. This is a winter seasonal - Must Try! Deep golden bronze/amber with a tint of red. Very complex dry robust malt with a trace of sweetness. Powerfully hopped, then dry hopped for good measure. The maltiness rolls forward throughout the glass and begins to reveals a trace of berries and some smoothness. An unusual, but nice pine essence is long lasting. The alcohol is noticed, though not overly so. The creamy beige head lingers and nice lace is formed. As with all of D.L. Geary’s brews, there sort of a raw wildness, like Maine itself. It’s easy to picture a Norman Rockwell Maine coast pub scene in winter where the cheerful patrons are toasting one another with a frosty mug of Hampshire Special. Now that really warms the heart! BTW  Hampshire Special pairs really well with hearty stews. Try braising a roast with this ale in place of Burgundy wine. This "Big Beer Series" is proof that BA and like beer lover groups are making an impression upon brewers and they are responding by digging out the top ingredients and notching up their brewing techniques in order to appease our ever growing thirst for excellent beer. This mild Imperial Stout is pitch black in color with a thin brown fading head and lots of sticky, patchy lace. Bitter chocolate, sweet malt, hop and mild alcohol aroma. A thick and rich chocolaty malt is nearly perfectly matched with sharp citrus bitterness and lightly astringent and pine-like flavors and light alcohol lung-feel. The creamy, almost oily liquid is quite luscious and very drinkable, although the intensity fades towards the end of the glass. Corked brown bomber. Man, was that thing under pressure! Poured into Piraat tulip-shaped glass. It pours a deep amber and mahogany color with a firm beige head. A big whiff of sweet malt rises up. The smell of a freshly opened tin of toffee comes to mind, as does the smell of Kahlua. Abundantly malted with tastes of buttery caramel, fresh banana bread, and hint of maple. The hops provide the citrusy flavors of sweet pink grapefruit and orange zest, along with a good blend of peppery spices. A faint taste of cloves and coriander sneak in as accompaniments, but just to add complexity not to showcase themselves. Stock Ale is my favorite "everyday" ale. When researching and rating a vast array of ales and lagers, from delicate pilsners to over-whelming imperial stouts and barleywines, it's good to find an ale with which to refresh the palette or to simply enjoy without research in mind (yes, at times we need a break from the daily grind). This ale has a deep copper color with reddish hues, nice malty body and is amply hopped. 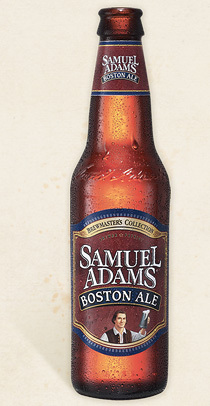 The separation between the distinct malt and hops flavors, smooth out and become more balanced after a few gulps. The fresh finishing hop aroma lingers. There's a clean fruity finish and nice long lasting head. It goes very well with a wide variety of foods. Now I’ve gone and made myself thirsty for one! Well, there you have it. 52 weeks have passed and yet there is something like 13,000 beers yet to discover. I hope you’ve enjoyed ‘Beer styles of week’ as much as I’ve enjoyed putting it together.